"He's so big!" That's the first thing most people say when the meet Rayito, which means lightning in Spanish. 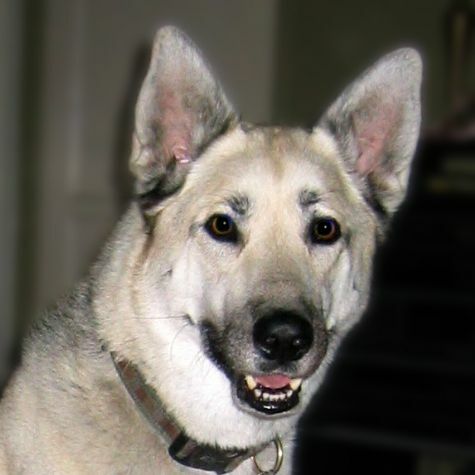 He was born at an animal rescue in Bell Gardens to a German Shepherd dad and an Alaskan Malamute/Husky mom. Weighing in at 120 lbs, he's the true definition of Gentle Giant. When he stretches out on the sofa at home, his body takes over the whole thing, arm rest to arm rest! That's his favorite place and you can usually find him there with one of his stuffed animals.